Samsung is ratcheting down OLED panel output from its South Chungcheong plant to cover 20 million or fewer iPhone X devices for the quarter ending in March, a drastic decrease from an initial goal of 45 to 50 million units, Nikkei reports without citing sources. According to the publication, the new target reduces plant production to roughly 60 percent of original forecasts, the publication said. In particular, output at Samsung's plant dedicated to OLED-equipped Apple devices will drop by at least 50 percent. The Korean tech giant has reportedly not set targets for the April-June period, but further cutbacks might be required to correct for what Nikkei in past reports has described as "weak demand." As a result of the production cut, and reduction of OLED iPhone orders, Samsung's display business is expected to suffer revenue declines for the first half of 2018. Nikkei, again without citing sources, reports Samsung made a 13.5 trillion won ($12.6 billion) capital investment to prepare for what was expected to be a glut of OLED panel orders from Apple. After claiming Apple was looking to halve iPhone X production in January, Nikkei last week continue to pushed its narrative further, saying weak demand for this year's flagship iPhone was causing a cascade effect on the supply chain. Specifically, Samsung was last Friday said to be in search of new customers after being "saddled with excess production capacity" of OLED panels. 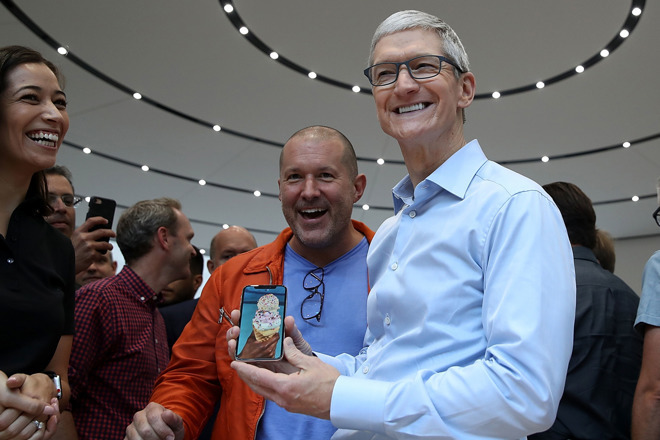 Earlier this month, Apple CEO Tim Cook during the company's most recent quarterly conference call earlier this month said iPhone X was the top-selling iPhone model every week since it debuted in November. While iPhone shipments were down 1.2 percent year-over-year for the first quarter of 2018, in part due to an extra sales week last year, revenue was up thanks to a record-breaking average selling price of $796.42.